Archaeologists first uncovered fragments of ceramic coin moulds at the site when they were carrying out repairs after heavy rain in late 2017, according to media reports. 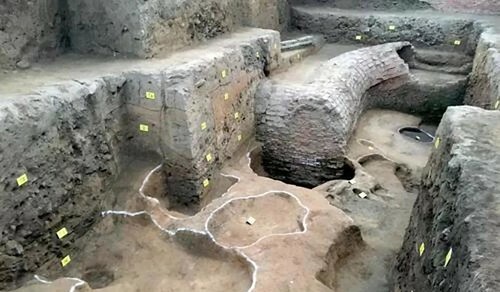 A joint team from the local and provincial cultural relics and archaeology institutes later found nine areas of relics and one kiln site with eight ash pits. They also found copper coins, copper smelting slag, pottery shards, animal bones and a large number of coin mould fragments.